If you have to replace your master links often, try using the EK clip style master link. In an emergency situation, this is an easy temporary fix. Many chains come with Rivet Masterlinks if you're wanting to throw a clip link on your chain because you don't have a rivet tool or you simply want to be prepared out on the road then grab a couple of these. Let me 1st say KTM Twins is Awesome! I ordered the EK 520 clip style master link. I received the rivit style instead, when I questioned KTM Twins about my order, I got an e-mail reply of bla, bla, bla, we jacked it up, bla, bla, bla, you can return it, but OEM don’t recommend that item to be used on your bike. I am a professional mechanic, and I can respect where they are coming from. I know the rivit style has a less likely chance of failing than the clip style. 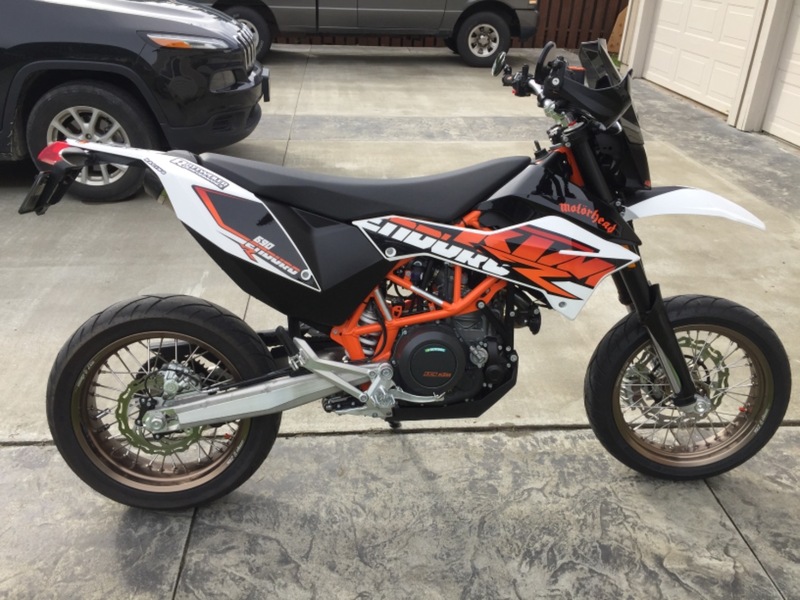 I converted my 690 Enduro R to a supermoto and I don’t use it off road, so it’s a lot less likely anything will jump into my chain and cause a problem. So if you order a clip style and get the rivit instead....don’t be surprised. KTM Twins is looking out after us lazy consumers. Just go a head and do it right the 1st time. I ordered a clip together style, but received one that has to be rioted together. My recent purchase of clip styl master links was incorrectly filled. Instead of the clip style, I received the type that you use compression to put together.